so for two smartphone users sharing one Rogers bill, this could save $50. but Rogers isn’t very rigorous about links into their site, so YMMV. 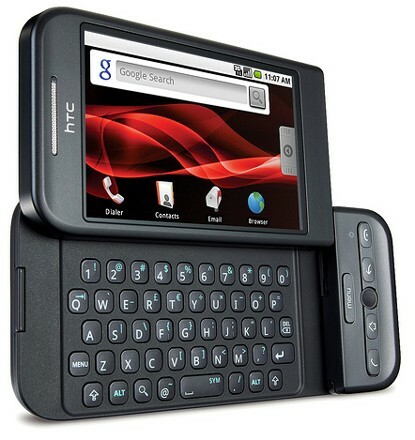 availability of the HTC Dream and HTC Magic phones, both running Google’s Android OS, which is not dissimilar to the iPhone’s OS. The major concern with the previous Android phone, the G1, was the battery life. It would last an hour. Apparently this is no longer such an issue. Inevitably the connected nature of many of the HTC Magic’s applications means that you’ll push the battery pretty hard. The quoted life is up to 7.5 hours of talk and 420 hours on standby. We found we needed to charge the battery every day at first, but after the initial burst of heavy use this settled down to a couple of days between charges. The phones cost the same – $150 – and Rogers offers a $45/month, 500 MB data plan. Quite a bit less data than the 6 GB plan early iPhone users are currently enjoying. My Mom lives on Wolfe Island. She has no access to DSL (her phone lines are low quality) or cable. Until recently, we had been considering getting her Rogers’ WiMax solution, which would have given her ~2Mbps for about $50/month. When we called to order it over the weekend, however, the sales agent told us about the USB thingee internet solution. I’d seen ads, and assumed it was simply WiMax on a USB dongle, which would be inappropriate for my Mom, since the inside-antenna WiMax solution wouldn’t work for her (poor signal). We were going to go for the higher-startup-cost, outdoor antenna solution. But no, as it turns out this USB thingee uses the 3G network for internet. This is good news since I noticed that my iPhone was getting 5 bars at my Mom’s place. It turns out the USB dongle has a SIM card in it. So if I one could get their hands on a USB dongle, it might be possible to move an iPhone SIM into it and plug it in to the USB port on a laptop for unfettered internet with a 6 GB/month cap! Update: apparently Rogers is calling it the Rocket.